Carefully review this page to ensure you have completed all necessary tasks to receive your financial aid and are prepared for the upcoming semester and bill. Graduate Admissions: Be sure to submit your admissions deposit by the deadline indicated on your acceptance letter. Additionally, you must submit proof that you have a bachelor's degree. Failure to submit proof of your bachelor's degree will result in a hold on your financial aid. Weigel Health Center: Submit your immunization records the health center as soon as possible. You cannot register for classes until your immunization record is on file. Information Technology: Set up your email and get acquainted with the technology you will use on campus (Degree Works, Blackboard, etc). Residence Life: If you will live on-campus, submit your housing deposit by the deadline provided. Good Grades Matter! Students must meet minimum academic standards to maintain eligibility for financial aid, including loans! The FAFSA must be completed every academic year, beginning in October for the following fall semester. Your Buffalo State email address is the official form of communication between you and the college. Check if often! Log in to Banner to view your financial aid award offer. Understand the types of aid you have been offered by reviewing the award webpage. This page provides award definitions, eligibility requirements, and general information. Note: Award letters are generated for students after they have been admitted and applied for financial aid (filed the FAFSA). For detailed help with applying for aid, please review the Apply for Aid site. A limited number of graduate students must submit additional documents to the financial aid office before we can finalize their aid. Students can view what documents and tasks must be completed in Banner and are strongly encouraged to complete all requirements promptly. Finally, students should monitor their Banner account to ensure the documents they submitted have been accepted and nothing else is needed. It is not uncommon for additional documents to be requested. If you will owe a balance each semester, develop a plan as to how it will be paid. Below are some options to cover the remaining amount due. Additionally, develop a plan to purchase textbooks. Log in to Banner to accept your financial aid (loans, work-study, and certain scholarships).  If you make a mistake or change your mind about the aid you have accepted or declined, contact us at finaid@buffalostate.edu from your Buffalo State email address. If you will borrow a Federal Direct Unsubsidized Loan, you must also complete Entrance Counseling and a Master Promissory Note (MPN) at https://studentloans.gov/. Students that already have these documents on file from their undergraduate schooling do not need to recomplete them. Be advised that MPNs expire after ten (10) years and must be resigned. Students that apply and are approved for a Direct Graduate PLUS loan must also complete PLUS Entrance Counseling at https://studentloans.gov/. Some scholarships require a thank you note written to the donor. Refer to your scholarship notices to determine if a thank you note is required. Students expecting a refund from their financial aid can request a book deferment to purchase their textbooks in the college bookstore. Students that owe a balance will need to purchase their textbooks out-of-pocket or apply for additional loans. Students should budget about $500 per semester for a full-time course load (12+ credits). Students expecting a refund are encouraged to sign up for direct deposit. Review the fall and spring disbursement schedules to understand the timing of when aid disburses and when refunds are generated. As a general rule, any aid that is received is first applied to the student's charges. Once all charges are paid in full, the student is eligible for a refund (as applicable). ALERT: Students that have a balance of $500 or more will not be able to register for the upcoming semester(s). Late fees will be applied each month the bill is not paid in full. Each late fee is $30 and the maximum per semester is $90 in late fees. Go to Class and Do Well! Students must meet certain minimum standards to maintain eligibility for financial aid, including federal loans. Students that are struggling academically should consult with the financial aid office to review their options, in addition to seeking free tutoring and help on campus.